Click HERE to read the "Festival Etiquette (音樂祭禮儀)"
Note : Children under the age of 15 are free with an accompanying adult. Children have to be in the supervision of a Responsible Adult. However, the first year was hit by a large typhoon forcing the cancellation of the second day. Rather then a “symbiosis”, the organizers and festival goers both yielded to the fury of nature and the inaugural year of the festival proved to be full of challenges. After being held in Tokyo at Toyosu in 1998, the festival made its move back to the ideal of a location surrounded by nature -its current home- Naeba Ski Resort in Niigata prefecture. Having learned valuable lessons the first year, and through years of trial and error, Fuji Rock evolved, along with the passionate participants who were always ready to help make the festival a success, to become the first ever authentic rock festival in Japan. Through this process, the festival is not only more prepared for inclement weather, but has developed to include many other attractions, food stands and NGO booths. The festival has built a relationship of trust with the area surrounding the festival, growing to become an renowned summer tradition. 2016 saw the festival reach its 20th anniversary but along with the stability came some carelessness, made apparent by the increasing number of troubling incidents and amount of garbage within the festival. 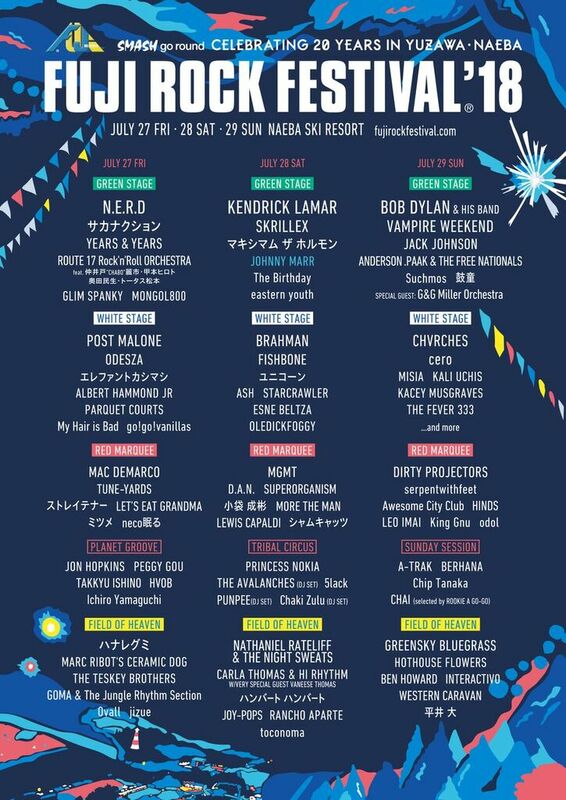 Fuji Rock is often heralded by international media as the “cleanest festival in the world”. That has been the catch phrase for this festival, built alongside its participants and was the remarkable result of the effort of each and every one of you, the festival goer. 2018 will be the 20th year the festival has been held in Naeba, and we ask that all participants resolve to help reclaim this hard-won accolade. “Do It Yourself”, “Help Each Other”, “Respect Nature”. These three canons of the festival will not change but we ask that all participants assist in making the special weekend even more so! 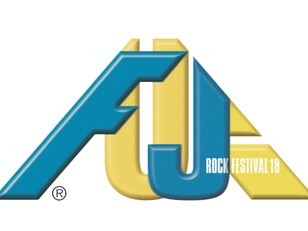 Fuji Rock is built by the efforts of both the organizers and attendees. Everybody has their own way of enjoying the festival, and each of us should be able to fully enjoy the experience. With this in mind, we would ask that all participants strive to share the comfortable environment that is Fuji Rock, considering the surroundings and others around them. Tickets must be purchased through official ticket outlets. Tickets purchased via outlets not listed on the official website are not valid. Tickets purchased via invalid outlets are not guaranteed by the festival in any way and may not be honored. You may not change or cancel once you have placed your application. Tickets and wristbands will NOT be reissued under any circumstanstances. Please also note that those who lose their ticket and or wristband at the festival will be asked to leave the site or repurchase a ticket. ♦ The festival will not be cancelled due to inclement weather (excluding natural disasters). Please note that ticket refunds will not be made due to artist cancellation. ♦ Leaving chairs or sheeting, etc. unattended is prohibited in the festival. Unattended items will be deemed abandoned and removed and disposed of immediately. Be sure to carry all of your belongings at all times. Also, use of overly large leisure sheets to occupy large areas is prohibited. “Osaho” is a traditional Japanese phrase meaning “etiquette” or “procedure”. This video is to remind us all to be respectful and mind your manners at Fuji Rock Festival ’18 to help make the Fuji Rock experience great for yourself and everyone! 「BUNBETSU」(Sort) Sort Your Garbage, Save The Earth. 「HOOCHI」(Abandoned) You move you lose. Take your stuff with you! 「BUNEN」(Separated Smoking) Duh! Only smoke in smoking areas. 「KAPPA」(Rain Coat) Give up. You’re gonna get rained on. Use a coat. Fuji Rock Festival was once known around the world for being the “cleanest festival in the world”. Not only can you help keep the festival and its grounds clean, by sorting (BUNBETSU) your garbage and throwing it away in the correct bin, you can help us reduce, reuse and recycle. Leaving items such as leisure sheets and chairs around the festival site not only take up space but, can become hazards for other festival goers. So don’t abandon (HOOCHI) your festival gear! Smoke ‘em if you got ‘em. But only in designated smoking areas. Separated smoking areas means you’re not bothering anybody with your smoke, and nobody will bother you about it either! Using a rain coat (KAPPA) not only protects you from wind and rain, it leaves your hands free to wave and clap or hold hands with someone! Umbrellas are not only dangerous in a crowd, it can block the view for other audience members. Just Say No To Umbrellas!